with a side serving of sweet honey or a fruity compote. and the perfect size pot. 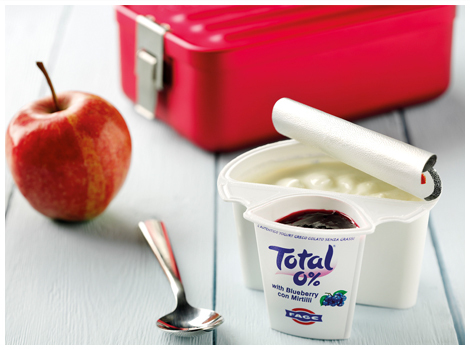 All of Total Greek yoghurt's are naturally produced from cows milk. Over the last 2 days I've had one at Breakfast and one at Lunch. and the side serving of the fruit or honey is the perfect size. followed by the honey one. I have been wanting to try those...I'm glad I now have your opinion to go on and will buy them at the commissary next visit!